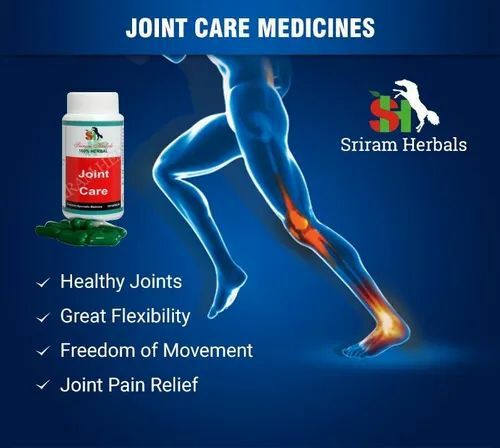 Joint care is a herbal formula which prevents atrophy of bone formation. Joint care supplements natural calcium having optimum bio availablity. Body swelling and joint pain are closely related to various inflammatory conditions in the body. The major causative factors are the improper metabolism and malfunctions of internal organs related to waste elimination are commonly seen in the case of rheumatic disorders and some viral infections. Chronic joint disorders are well treated with ayurvedic remedies achieving better results. 1. High efficacy in minimum dosage. Rheumatic swelling, osteo arthritis, sciatica, neuralgia, myalgia, spondylosis, spondylitis. And joint pains for accute joint pains,, the nagachampa massage oil can be used for external application along with the joint care capsules dosage: two capsules two or three times a day or as per the physician’s advice. Boswelia serata hibiscus abelmoschuscommiphora mukul rubia cordifolia glycyrrhiza galabra moringa pterygosperma.